It is kind of hard to believe how quickly this month has passed and we are in the final week already. By the end of the week we will be done with another awesome mega marathon of blogging 26 days of a month. Every time I decide to participate in a mega marathon of this kind I am excited and apprehensive in equal parts. I always think I should plan and be fully prepared before the start of the marathon and I am yet to do even a single marathon where I had even half of the dishes ready before it began. Then it is a whole month of chaos and adrenaline in which I manage to complete 26 dishes. Sometimes I feel I enjoy and thrive under this pressure of cooking, clicking and blogging on the same day everyday for a whole month and other times I am convinced I should be well prepared with posts scheduled for the whole month well in advance. Hopefully I do that next time round. Fingers crossed. Today’s dish is a quick and easy cucumber dosai from the Konkan region of Maharashtra. As I mentioned in yesterday’s post, Konkan cuisine has its own distinct and unique flavour and boasts of some amazing culinary delights. This is a quick dosa where you only need to soak the rice for around half hour and grind it with coconut. I added a couple of red chillies because my family prefers everything spicy. Then the grated cucumber is mixed with this batter and you are ready to make some soft and delicious dosais. Very interesting Konkani cucumber dosa, and the dosa looks very catchy with beautiful colour. 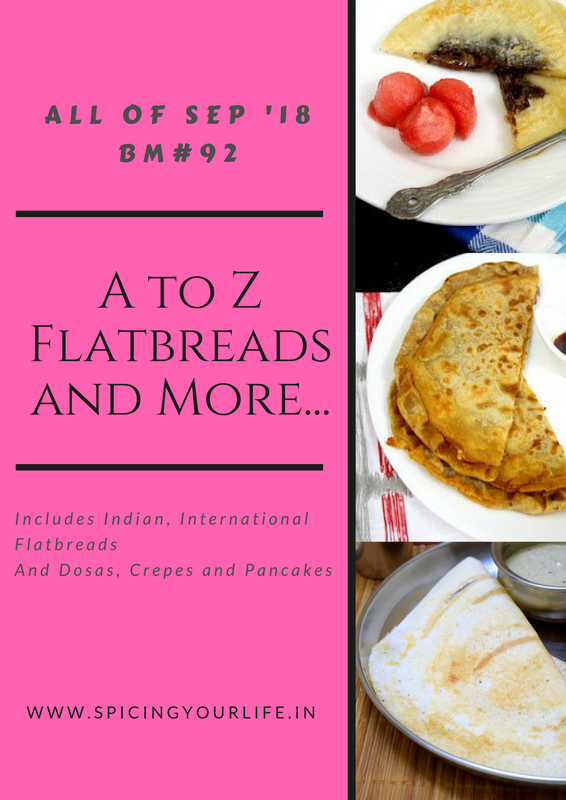 Learning so many interesting dosas from you Sowmya, my bookmarked list is overflowing yaar. really, cucumber in dosa??? I have never tasted cucumber other then raita. Looking very inviting and tempting dosai with the picture. Bookmarking surely check it out once. That is a really quick dosai to make with just half an hour soaking time. They look so soft and perfect with a spicy chutney. A Dosa with just rice and cucumber ! Must be so interesting . Do you think if I use rice flour it would taste equally good ? Or we need to soak and grind to get the perfect taste ? Wow I can see the goodness of cucumber and coconut in there. I have so many dosas bookmarked Sowmya. Thanks for showcasing such wonderful dosas. Sowmya, under pressure we tend to function better and cook well but when it comes to commenting, it becomes a tedious job. Love your easy to make and non fermented thousali. I keep on thinking I have to make it…but have so many flatbreads book marked. Love to make instant version of dosa and this is one of them. A new name to me and a different dosa. This is a lovely word to use Sowmya, and no doubt must have tasted very good!..what a fantastic collection with different words we might otherwise not notice! Same pinch and totally with you on the points you mentioned about mega BM. I make a list and all that months before the start and yet the actual cooking happens only when mega BM starts! !But there is a thrill in such things na! Anyways another super dosa from the konkani cuisine!